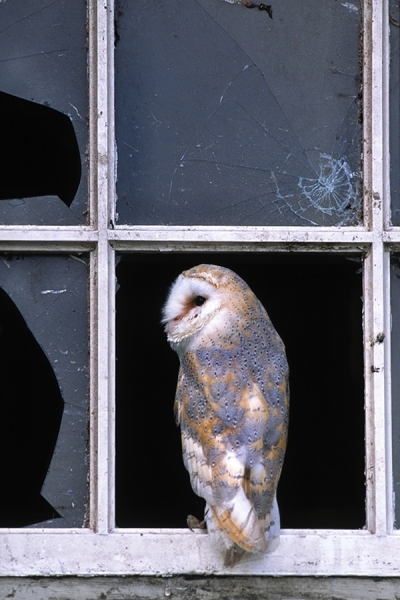 Home | Owls | Barn Owl in window. Taken in an old farm building in the Scottish Borders,near Duns. Canon Eos 1n camera,300mm lens and fuji slide film.